The Fiji Labour Party is extremely concerned that the Fiji Elections Office has procured the services of Pakistan’s NADRA to develop its Election Management System. The company’s credibility is in serious question. Pakistan’s ISI has named some of its top officials of involvement in issuing fake IDs to terrorists. 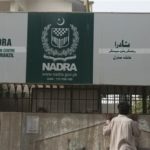 • NADRA did not meet all the requirements for the tender as advertised by the Elections Office. The advertisement had required overseas companies to have a local partner at the time of bidding for the tender. NADRA did not have a local partner at the time of bidding. Its tender should have been rejected at the outset. The partnership with GEM (Fiji) Ltd was formed after it won the tender, we are told. • NADRA has no expertise with elections management system. Its expertise is with national identification cards (IDs) and passports. How did it get the contract when it has no expertise or proven record on EMS? • There has been a questionable lack of transparency in the handling of the contract for EMS by the Elections Office. Why did it not disclose publicly that NADRA had won the tender at the time the decision was made a year ago? People in Fiji only came to know about NADRA’s contract because of a letter by the Supervisor of Elections to the Immigration Department requesting visas for its officials to visit Fiji, released on a blog site.